On sale at automatic ticket vending machines at each station. Valid until the last train on the day of sale. In the case of stopovers, tickets become invalid in zones further than your station of disembarkation. *Child passenger fares are half of the above regular passenger fares, rounded up to the next 10 yen unit. Regular passenger fares are calculated according to the number of kilometers traveled during passage (distances of under 1km are rounded up to the nearest kilometer). Child fares are half the price of adult fares (amounts under 10 yen are rounded up to the next 10 yen unit). Infant 1 year to under 6 years Two infants may travel free per ticket-holder (excluding group tickets). From the third infant onwards, the Child fare will be required. In cases where infants travel unaccompanied, the Child fare will be required. Baby Under 1 year Free. 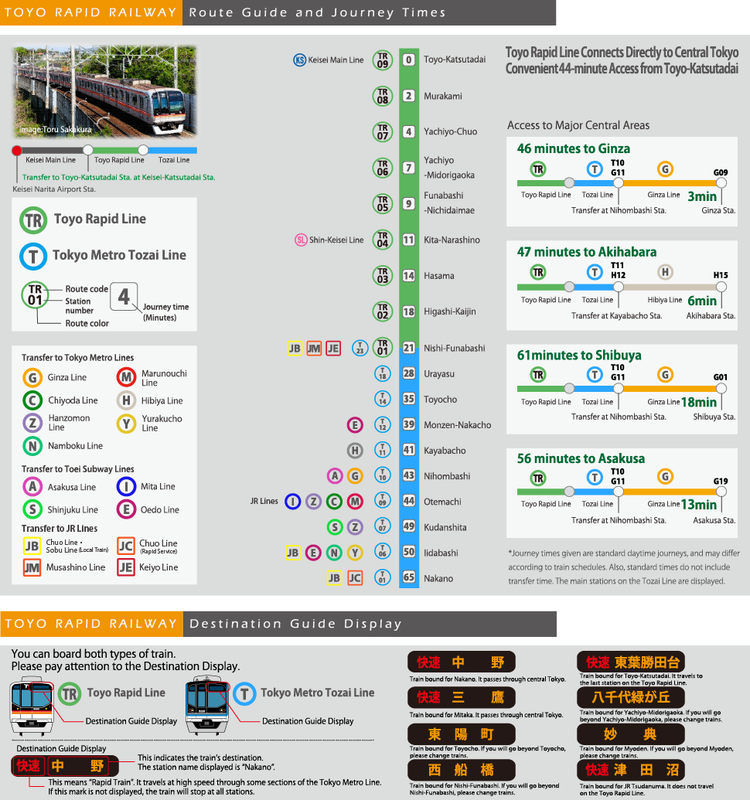 Copyright © TOYO RAPID RAILWAY All Rights Reserved.